Canada is an expansive county of great natural beauty, and amongst all those bustling cities, sprawling mountains and stunning landscapes, you’ll also find many land based casinos and integrated resorts that have become popular vacation spots for Canadians and visitors alike. We take a look at the top five biggest and best brick and mortar casinos in Canada for next time you’re planning a trip to Vancouver, Toronto, Montreal or beyond. Located just half an hour outside of Vancouver on the banks of the picturesque Fraser River, the River Rock Casino Resort is the largest gaming venue in Western Canada, taking advantage of its gorgeous west coast setting. Home to a diverse gaming floor that includes over 1,100 slot machines and over 114 tables games including blackjack, roulette, poker, baccarat and craps, there are table limits available to suit recreational players and VIP high rollers. 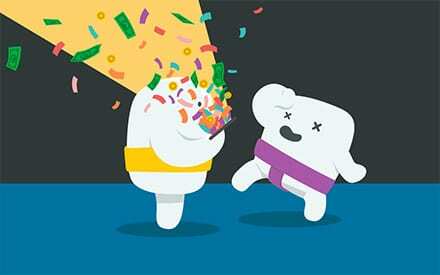 A loyalty program, Encore Rewards, is also available for regular players. River Rock Casino operates 24 hours, seven days a week, and visitors must be over 19 years old to enter and be willing to show two forms of government issued ID. River Rock Casino is a fully integrated resort, offering eight restaurants that cover everything from light bites to fine cuisine, plus high-end accommodation in the Four Diamond Resort Suites and world-class entertainment options. The resort includes a first-class spa, swimming pool, marina boardwalk and theatre. Most people who visit Niagara Falls come for the breath-taking beauty offered by the epic waterfalls, but plenty more stay for the facilities offered by Casino Niagara. Boasting 95,000 square feet of gaming space spread over two gaming floors, the casino offers more than 1,300 slots and 40 gaming tables including blackjack, roulette, poker and Mississippi stud amongst others. 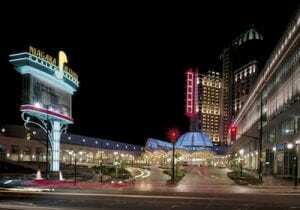 Casino Niagara is a hot spot for tournament players, offering several exciting poker tournaments throughout the year. A loyalty program known as the Players Advantage Club is also available for regular players, with points that can be redeemed for hotel stays, concert tickets and other exciting rewards. Casino Niagara features a wide assortment of dining options to satisfy every taste and budget, including the Market Buffet, Perks Café and LEV2L Sports Bar & Entertainment, which also offers multi-sports betting options. Live music, comedy and tribute shows are also featured throughout the week. There is no hotel, but nearby accommodation options are plentiful. The Hard Rock Casino is Vancouver’s biggest gaming venue, home to an expansive gaming floor that covers 80,000 square feet. The Hard Rock Casino offers over 950 electronic slot machines, tables games including roulette, blackjack, baccarat, pai-gow and craps, plus a dedicated poker room offering five poker tables. The more recreational casino visitors will love The Block, a casual gaming lounge designed especially for those wanting to place lower bets on popular slots and mini-games while catching up with friends over a drink. High rollers are also well taken care of, with the Privé room offering private gaming salons for VIP players. The casino is also part of the Encore Rewards program, where regular players can earn loyalty points to redeem for all kinds of rewards and promotions. 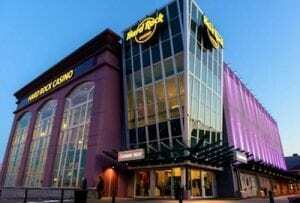 The Hard Rock Casino does not offer hotel accommodation but has a partnership with the nearby Executive Plaza Hotel which provides a complimentary shuttle service between the hotel and the casino. Dining, bar and nightclub options are plentiful. Located on Notre Dame Island in the borough of Ville-Marie in Montreal, Casino de Montreal (or Montreal Casino in English) is the largest casino in Canada, and one of the biggest casinos in the entire world. 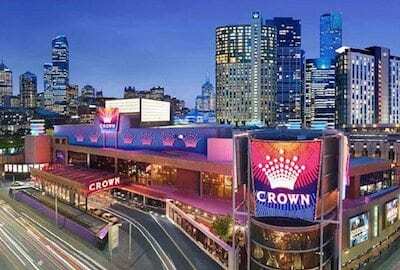 The casino is spread across three interconnecting buildings, which between them host 526,488 square feet of gaming space with over 3200 electronic slot and gaming machines, 150 table games and separate poker facilities. Table games include multiple variants of blackjack, baccarat, roulette (European and American versions), Pai Gow poker, Caribbean Stud poker, sic bo, Casino War, craps, Grand Prix poker and many others. The casino is open 24/7 and accepts players over 18 years of age. Built on a cliff overlooking the world-famous Horseshoe Falls, Fallsview Casino Resort calls itself “the largest and most elegant gaming resort facility in Canada.” The billion-dollar casino first opened in 2004, and to this day it remains the largest single investment ever made by the Government of Ontario in the Niagara region. Fallsview offers over 3,000 electronic slot machines and 130 table games, including multiple variations of roulette, blackjack, baccarat, craps and poker. Bets on the slot machines range from 1c to $1, table limits vary, and high rollers can enter the Sapphire Room or Salon Privé for access to higher limit bets. In terms of accommodation, Fallsview offers 374-room luxury hotel, full service spa and fitness centre, dozens of shops and restaurants, and the 1500 seat Avalon Theatre. Can Canadians play at online casino sites? The popularity of playing at online casinos has grown in Canada as Internet penetration rates soar, with many punters now turning to computers, smartphones or tablets when they want to place a real money bet on casino games like slots, blackjack, roulette or poker. To find out more about Canadas online gambling laws and the online casino sites that accept Canadian payers, read our Canada casino guide.